K. S. Radhakrishnan took to painting inspired by the works of his uncle,P. N. Narayanan Kutty. 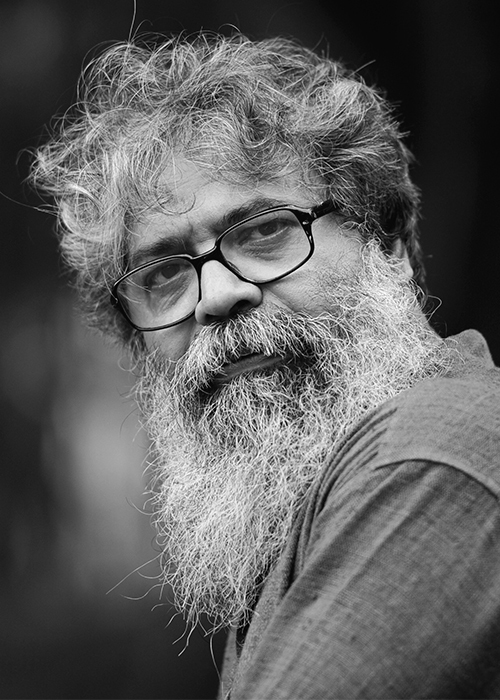 He studied at Kottayam and later joined Kala Bhavana at Visva Bharati University, Santiniketan. Awarded a national scholarship from the Government of India, he took a Bachelor of Fine Arts from Santiniketan. Winning Calcutta’s Birla Academy of Art and Culture’s annual exhibition, Radhakrishnan won the award for best sculpture and was awarded a research grant from Lalit Kala Akademi, New Delhi, to work at Garhi Studios, New Delhi, Radhakrishnan has produced a sculptural oeuvre that has seen him experiment with a wide variety of materials and techniques. 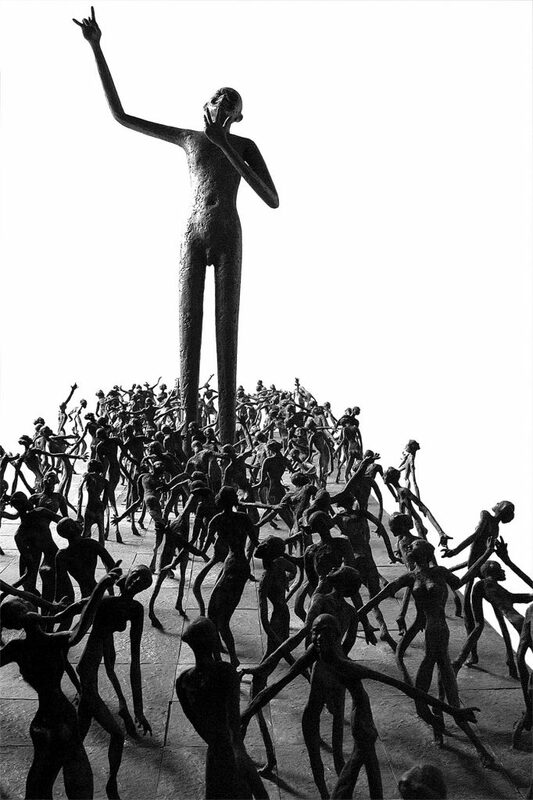 He is known for his thinly fluted,tall figures that, despite their monumentality, create a sense of intimacy through his chosen theme of the figure in motion, often swaying or mid-step in dance.They are iconic and votive-seeming, but ultimately connect to the ordinary man’s innermost desires of leaping up in joy. 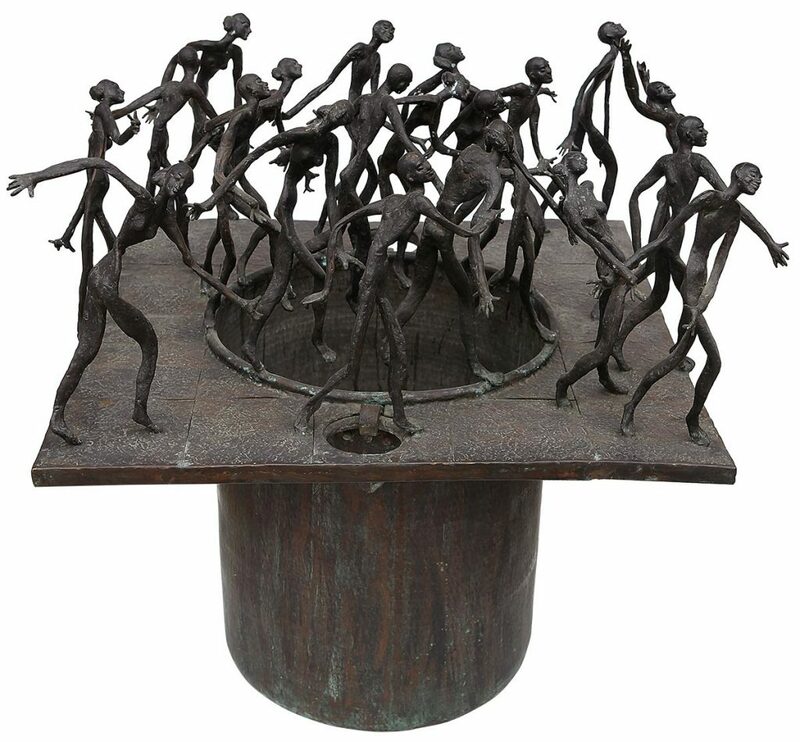 He has exhibited extensively and several of his sculptures are installed around the world – two open air sculptures at Bikaner in Rajasthan, a sculpture at India House, London, among others. He has worked at Studio Obsonvile, France and also participated in the Triennale organised by Lalit Kala Akademi, New Delhi. In 1983, he held a solo exhibition at the Jehangir Art Gallery, Mumbai. 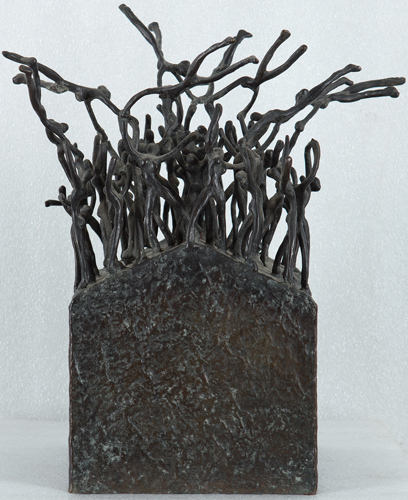 Over the years, Radhakrishnan has experimented with alternate sculpting mediums,working in molten bronze, beeswax and plaster of paris, where the tactile,physical process of working with the material becomes an essential part of the creation process.